Can Depression Be Included in Neurodiversity? Depression (aka prolonged, extreme sadness) is said to be hereditary. 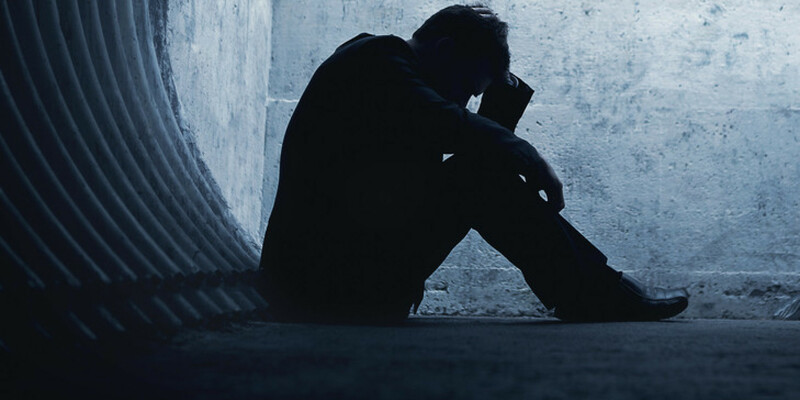 People with a family history of depression are more prone to developing depression as well. Also if you have experienced depression before, you’re more prone to have more depression over the course of your lifetime and is said that neural pathways are altered in a depressed person. People say there people who are more prone to depression and see the world as ‘half-glass empty,’ which is I am guiltily related to this. Depressed people have usually deviant thinking from Pollyanas (the extremely optimistic protagonist of the novel of the same name) of the world. The question is, can depression be included in neurodiversity? But first, let’s define depression. Depression – a state of low mood and aversion to activity that can affect a person’s thoughts, behavior, feelings and sense of well-being. People with depressed mood can feel sad, anxious, empty, hopeless, helpless, worthless, guilty, irritable, ashamed or restless. They may lose interest in activities that were once pleasurable, experience loss of appetite or overeating, have problems concentrating, remembering details or making decisions, and may contemplate, attempt or commit suicide. These are usually symptoms of a psychiatric condition called major depressive disorder. Depression is caused by a deficiency in a neurotransmitter (brain chemical that works on brain and bodily functions) called serotonin. Serotonin is thought to be especially active in constricting smooth muscles, transmitting impulses between nerve cells, regulating cyclic body processes and contributing to wellbeing and happiness. Serotonin is regarded by some researchers as a chemical that is responsible for maintaining mood balance, and that a deficit of serotonin leads to depression. In short serotonin acts as a “control” in our mood. (C) Disney. It makes me thing that Joy is the serotonin in our brains. Without her Sadness (depression) will dominate, so as other non joyful moods. Depression is triggered by unwanted events (loss of a job or relationship, etc) and certain people are more prone to be more depressed than others. But can just we say to depressed people be more positive or everything will be okay? Not necessarily. In fact, there is a Scientific American article that the human brain can also cause depression in some people. Over nine years of sorting through countless brain images, Jerome J. Maller of Monash University and Alfred Hospital in Melbourne noticed a particular type of brain abnormality that seemed to show up more often in depressed patients. Their occipital lobes were often wrapped around each other. As we know occipital lobe deals with eyesight, but this study correlates more intertwined occipital lobes of the brain with depression. Maller and his colleagues investigated further and found that depressed patients are indeed three times as likely to have wraparound lobes. Occipital bending occurred in 35.3 percent of the depressed patients and 12.5 percent of the control subjects, according to their paper, published in Brain. The effect was even more pronounced in women: 45.8 percent of female patients with major depressive disorder exhibited occipital bending versus only 5.9 percent of women without depression, possibly because women’s brains fit more snugly in their skulls than men’s do. Image courtesy of psychlopedia.wikispaces.com. The red marked area of the brain is the occipital lobe. 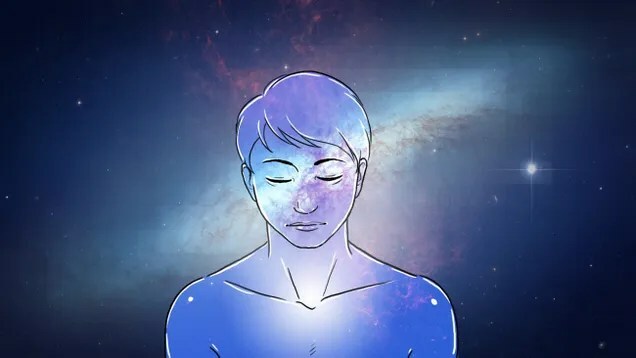 Maller suggests the lobes may wrap around each other when space for brain growth becomes constricted, perhaps because the brain is not doing enough neural pruning—the process by which the brain gets rid of neurons that are no longer needed. Indeed, many other studies have found that depressed brains are hyperconnected. Maller does not know if the finding will have clinical implications beyond helping to diagnose depression, but experts hope that this avenue of research will eventually lead to a deeper understanding of the disorder. Image courtesy of upload.wikimedia.org. The red marked areas are the two occipital lobes. If they are more wrapped together, they will cause a person to be more depressed. By this study, I can say that depression has a neurological basis and may be included in neurodiversity. Maybe we can begin to see depression and other mood disorders in a different light that they are not just human character flaws or emotions. Salmans, Sandra (1997). 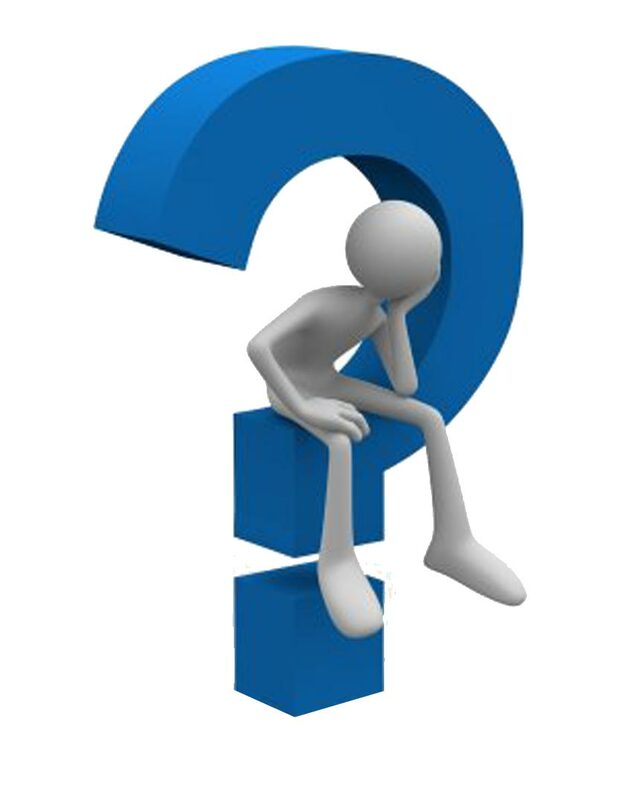 Depression: Questions You Have – Answers You Need. People’s Medical Society. ISBN 978-1-882606-14-6. Diagnostic and Statistical Manual of Mental Disorders, Fifth Edition (DSM-5). American Psychiatric Association. 2013. New York Times news article, accessed 17 July 2014. Any person who has atypical neurological development will likely have atypical psychological development as well. This means when everybody else (the neurotypicals) have the same development (psychosocial, emotional, and cognitive), the neurodiverse definitely has a different developmental pattern. Now, before explaining psychological problems in neurodiversity, let me share what is the normal (or neurotypical) psychological development (that is, a person without learning disabilities, developmental disorders, and emotional disorders). Image courtesy of natural-passages.com. 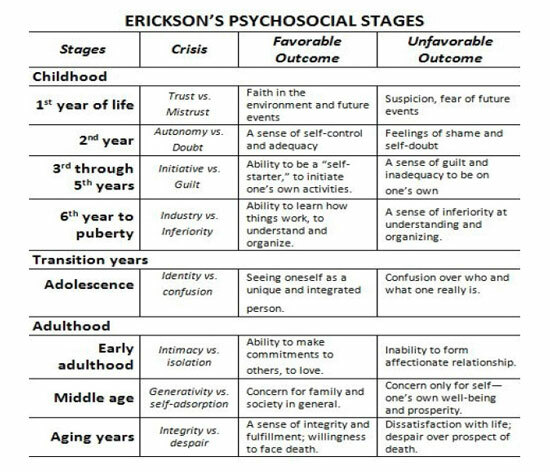 Psychosocial development by Erik Erikson. Image courtesy of Muskingum University. Jean Piaget’s Cognitive Developmental Stages. Okay. I’ll end the list here. The first table regards to the psychosocial development in humans developed by Erik Erikson. At each stage of human development, there is a specific crisis each must face. For example, the infant’s trust vs mistrust crisis. Here, the infant must learn to trust her surroundings, her parents (particularly mother), caregivers, and environment. If these needs are not met, the infant will fail to learn trust and instead will learn mistrust and will be afraid of everything around her. If crises are managed well, the psychosocial development of a person will flow chronologically. However, any negative response to a crisis will suspend a person’s psychosocial development and that is detrimental to the person’s being. Here, these four stages have different modes of learning. At the beginning of life, a baby uses her reflexes to navigate the world (sensorimotor). Then, from toddler to preschool years, she uses only her point of view (egocentrism) to navigate the world (preoperational). Her language matures, but their thinking is based on intuition and still not completely logical. They cannot yet grasp more complex concepts such as cause and effect, time, and comparison. Following the elementary years, the child now demonstrate logical, concrete reasoning (concrete operational). Children’s thinking becomes less egocentric and they are increasingly aware of external events. They begin to realize that one’s own thoughts and feelings are unique and may not be shared by others or may not even be part of reality. During this stage, however, most children still can’t think abstractly or hypothetically. As they move into adolescence, are able to logically use symbols related to abstract concepts, such as algebra and science. They can think about multiple variables in systematic ways, formulate hypotheses, and consider possibilities. They also can ponder abstract relationships and concepts such as justice. Take note that Piaget acknowledged that some children may pass through the stages at different ages than the averages noted above and that some children may show characteristics of more than one stage at a given time. But he insisted that cognitive development always follows this sequence, that stages cannot be skipped, and that each stage is marked by new intellectual abilities and a more complex understanding of the world. Image courtesy of buzzle.com. An illustrated normal development from infancy to toddlerhood. Piaget’s sensorimotor cognitive development and Erikson’s trust vs mistrust, autonomy vs shame, and initiative vs guilt, all summed up here. There are more theories regarding psychological development in humans like Freud’s psychosexual development and Sullivan’s interpersonal development, Kohlberg’s stages of moral development, and so forth. These theories explain the normal development of the human mind, personality, and the whole personhood itself. Any delay or obstruction can cause significant halt in the person’s total development and may lead to various psychological and mental and even personality problems that may cause distress to the person. But what about psychological development for people in neurodiversity? Image courtesy of Middlebury College. For neurodiverse people, psychological and cognitive development may be different from the rest of us neurotypicals. This has something to do with atypical brain development (as in the case of autism) or atypical learning styles (in case of learning disabilities) or cognitive abilities (giftedness, intellectual disability). This difference in psychological development causes various psychological problems for people in neurodiversity ranging from depression to anxiety to substance abuse and suicide. Children with autism do not follow the typical patterns of child development. In some, signs of future problems may be apparent from birth. Other children develop typically at first, but between the ages of 18 and 36 months, their development stagnates. Parents may notice that they begin to reject social contact, act strangely, and even lose language and social skills that they have already acquired. In other cases, there is a plateau or leveling of progress, and the difference between the child with autism and other children the same age becomes more noticeable. Here, the autistic child clearly develops differently and more delayed than the neurotypical children. The autistic child may not reach a particular milestone (let’s say she cannot move from preoperational to concrete operational cognitive development) because of her different mental and psychological development. Another example of neurodiversity with different psychological development is ADHD. Because ADHD is characterized by short attention span, hyperactivity, and impulsivity, many kids with ADHD tend to suffer from school difficulties and social rejection. Here, I can say that the ADHD child may have halt in Erikson’s industry vs inferiority where he, because of his ADHD, may perceive himself as inferior to his peers in relation to task mastery (studying). The same goes with other learning disabilities where people having it have a sense of inadequacy. The more difficulty neurodiverse people develop is in the social domain. Because they are different from most humans, they tend to be socially isolated (usually failing Erikson’s intimacy vs isolation where they become isolated) and can either become depressed or harbor anger to other people, become needy, and may become suicidal. People in neurodiversity experience lots of psychological struggles more than neurotypical individuals thus experience more psychological illnesses and disorders. Why? Because their atypical neurological development also means atypical psychological development. Image courtesy of Huffington Post. People in neurodiversity do experience psychological problems more than neurotypicals. What are some of the common psychiatric disorders experienced by people in neurodiversity? Anxiety – people in neurodiversity are more anxious than neurotypicals because neurodivergents have different ways of dealing with the world, which can be weird or unacceptable to the majority (neurotypicals). Because of this, neurodivergents experience anxiety. Depression – when a neurodivergent experiences more and more failures and social isolation, that’s a perfect recipe for depression. This is true especially when a neurodivergent gives up trying new things (learned helplessness) and begins to be aggressive turned inside (depression); hence, depression develops. Phobia – a phobia is excessive and irrational fear of a real or perceived object or occurrence. Neurodivergent people, because of traumas they experience in life, may develop phobias of specific objects (i.e., sports equipment for a person with dyspraxia) or social events (in case of autism and language disorders). They develop phobias in order to protect themselves from further humiliation, which I’ll bring another psychological problem in neurodiversity. Obsessive-compulsive disorder (OCD) – having a neurodiverse condition can also have repeated failures in motor skills (dyspraxia) or failures in understanding mathematical concepts (dyscalculia), which may cause obsessions in failures, which could turn into compulsions of excessive perfectionism (obsessive-compulsive disorder) in order to compensate the disabilities in neurodiversity. Not a good compensation, as OCD is one extreme form of anxiety. If disabilities are not properly addressed, the end result will be more anxiety, depression, and procrastination (not really doing anything to solve a problem, just obsessing with how a particular problem is solved without action), which could also lead to underachievement in life areas. Post-traumatic stress disorder (PTSD) – when repeated failures and rejections are experienced by the neurodivergent (i.e., bullying, always failing at school, social rejection), he or she may develop post-traumatic stress disorder, is an anxiety disorder that can develop after a person is exposed to one or more traumatic events such as bullying. Symptoms include disturbing recurring flashbacks, avoidance or numbing of memories of the event, and hyperarousal, which does continue for more than a month after the occurrence of a traumatic event. A neurodivergent can experience PTSD after years of rejection and failures. Eating disorders – neurodivergents who are always rejected by peers would become obsessed with their looks (weight included), which can lead them to have various eating disorders (very abnormal eating habits) like anorexia nervosa (eating little to nothing to decrease weight even if already underweight), bulimia (binge eating followed by induced vomiting/excretion), binge-eating disorders (eating excessively even if it causes a person to be obese), and so forth. This is common for people with autism spectrum disorders (click this link for more details) because of their obsession with details and are longing to be part of a group, hence forcing their bodies to become “perfect” just to be accepted by a group. Suicide/suicidal tendencies – because the neurodivergent feels she’s different and it seems that no one could understand her (these occur in undiagnosed neurodivergents), she will resort to self-harm or self-destruction, which is ultimately a tragedy for any neurodivergent. It’s very disheartening for neurodivergent people to experience these psychological problems. What to do to avoid these problems in neurodiversity? Proper assessment of the neurodiverse condition is a must in order to truly identify the key problems of a neurodivergent person. By properly identifying either a learning disability, developmental disorder, or emotional/behavior disorder, the neurodivergent person will finally identify who he really is, will have an introspection of himself (though it will take months to years before acceptance just like what I did), then he will develop healthy coping strategies (i.e., individualized education plan, shift to a job that truly suits his strength, social skills training, etc.) in order to reach his full potential. Image courtesy of lifehacker.com. Self-awareness of the neurodiverse condition is a key to alleviating psychological problems in neurodiversity. Self-awareness and self-acceptance of the neurodiverse condition is also a must for the neurodivergent in order to alleviate his psychological problems. Yes, someone can be aware of his condition, but if he cannot accept it as part of his personhood, then nothing happens. There is no introspection. Without it, the neurodivergent still encounter problems because of his failure to accept himself as who he is. This is hard at first, because being different from majority (neurotypicals) would mean struggle in self-acceptance, lest acceptance by the group. But when a neurodivergent finally becomes aware of his condition and accepts it, then change will occur because he can learn to navigate the world with his “real” self without compensating to psychological problems. Love and support from family and friends is also a must. And it’s not conditional. Families and friends of neurodivergent people should be educated and/or be aware of the neurodivergent’s condition and unconditional love and support is ever needed in order for the neurodivergent to feel accepted and loved. Neurodivergents usually have a hard tie when it comes to acceptance because of his hard-wired difference. Nevertheless, when he is valued and accepted, he will have the courage to go on in this world and he will feel that he “belongs” alongside all people, whether be neurodivergent or neurotypical. Final words: Being a person in neurodiversity whether having learning disabilities or developmental disorders doesn’t exempt him or her from having various psychological problems whether brought by neurodiversity or other life trials. This means a neurodivergent is similar to the neurotypical; in short, he is human too but with different brain makeup. McLeod, S. A. “Piaget | Cognitive Theory”. Simply Psychology. Retrieved 18 September 2012. Singer, D.G. & Revenson, T.A. (1997). A Piaget Primer: How a Child Thinks (Revised Edition). Madison, Connecticut: International Universities Press Inc.
American Psychiatric Association (2013). Diagnostic and Statistical Manual of Mental Disorders (5th ed.). Arlington, VA: American Psychiatric Publishing. pp. 271–280.ISBN 978-0-89042-555-8. DISCLAIMER: This post is only the opinion of the author. This does not reflect the views of the neurodiversity community itself. In the last 3 posts, all of these conditions were discussed. 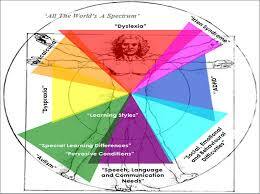 Now, I will have my conclusion on which on these 8 conditions can be included in the neurodiversity advocacy. What about depression, OCD, and Parkinson’s disease? Depression is a common mood disorder. Even neurotypicals do experience depression. The same goes for OCD, as it is quite common in the general population. Parkinson’s disease is a degenerative disease. Not a neurodevelopmental disorder. This concludes my 3-part, or rather 4-part series on other neurodiverse conditions.